Champion K-Run's Park Me In First. 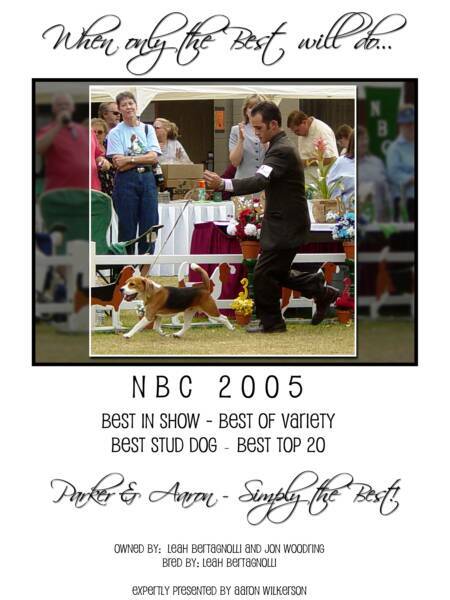 # 1 Hound in the USA in 2007. 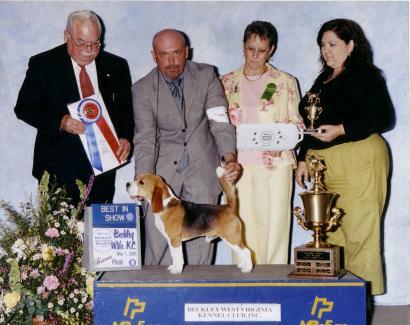 The Top Winning 15" Beagle in the history of the breed. 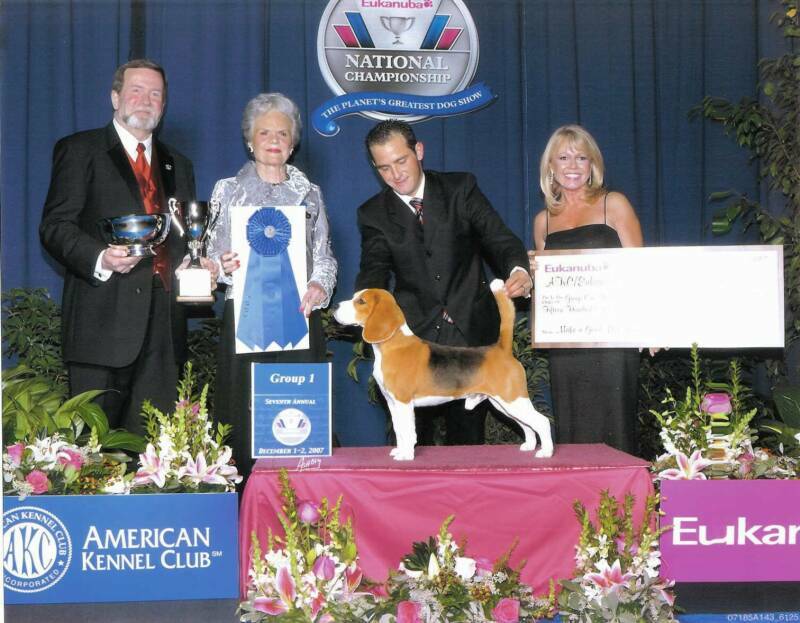 Pictured here with his best friend handler Aaron Wilkerson winning the Hound Group at the Eukanuba National Championship in 2007. We were his lucky co-owners (Yeah!). For complete information on Uno, CLICK HERE. Presenting 3 or our current Top Winners.